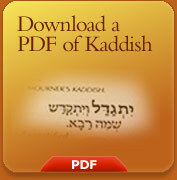 Kaddish is a concise text that states and affirms some of Judaism’s core concepts. The following is a line-by-line translation of the mourners kaddish along with brief explanations of the concepts contained in each line. Yisgadal v'yiskadash sh'may rabbah. May His great Name become exalted and sanctified: The overarching mission of the Jewish people is to testify that G-d is the Creator of all existence, and that He alone is the source of all that is meaningful, holy and good. 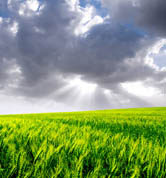 Kaddish begins with a prayer for this ultimate recognition of God’s complete sovereignty. In the world that He created according to His will: All of creation is a manifestation and extension of G-d’s Will. While physicists search for a Theory of Everything, Judaism asserts that the true, underlying force that unites and breathes life into everything that exists, is the ongoing presence of the Will of G-d. A world that recognizes this, and all it implies, will be a world that has achieved the very purpose of creation. And may He establish His sovereignty in your lifetime and during your days … With these words, the mourner asks the congregation to join in expressing a longing for a world that is elevated and refined by it’s recognition of G-d. … and during the lifetime of the entire house of Israel … The yearning and vision embodied in kaddish is rooted in the belief that ultimately the Messianic era will dawn, all mankind will embrace it’s relationship to the Creator, and the historical mission of the Jewish nation throughout all the generations will at last come to be. … swiftly and soon … Our hope and prayer is that despite all the darkness in the world, G-d's light will break through in the very near future to illuminate the entire world. … Now respond—Amen: The congregation is asked to join in affirming this core belief in the Jewish vision for a spiritually elevated future for the world. Amen. May His great Name be blessed forever and ever: In the mystical, kabbalistic teachings, the recitation of this verse with all one’s strength unlocks deeply profound spiritual forces. When G-d hears Jews calling out these words, He is so moved—so to speak—that He mourns over the destruction of the Temple in Jerusalem. This verse contains seven words comprised of twenty-eight letters.When the word Amen is added, the verse has eight words. In Jewish thought, the number six represents the physical world while the number seven represents spirituality in the context of the physical world. The physical world was created in six days, and Shabbat, the seventh day, brought spirituality into the physical world. The number eight represents pure spirituality that completely transcends our physical world as we know it. The number twenty-eight is the numerical value of the Hebrew word “strength.” When these words are said with all one's strength, a connection is made to spiritual realms that both permeate all of existence and transcend it. G-d and the Jewish people is compared to a husband and wife who are deeply in love. 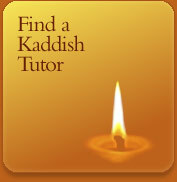 Kaddish contains many different forms of praise to poetically express this unique bond. Above and beyond all blessings… G-d transcends man in both time and space. While we exist in a physical reality governed by laws of nature and the concept of past, present, and future. Though we may acknowledge and praise G-d, He is far beyond anything we can truly relate to. Now respond: Amen. (the additional lines contained in the Rabbi's Kaddish) Upon Israel and upon the teachers … The survival of the Jewish people against all odds is a remarkable story. We recognize that the Torah and those who study, teach and transmit its wisdom is the most important ingredient in Jewish survival. And upon all those who engage in the study of Torah, who are here or anywhere else … Ever since G-d gave the Torah to the Jewish people on Mount Sinai, it has been the spiritual life force of the nation. Wherever Jews study Torah, the spiritual benefit accrues to Jews everywhere. May there be abundant peace… He Who makes peace in His heights… Peace is the ideal context for a full, rich, fruitful life. Tragically, peace can be exceptionally elusive. We pray that G-d bless us and the Jewish people with peace. As individuals and a nation we can then fulfill our highest potential.